Josephine "Josie" LeClear, age 24, had been living near St. John's School, a boys' school, in Manlius Village, New York for about two weeks, working in the culinary department. On Saturday, April 15, she went to Norwich but on April 29 "was sent back ... in a coffin and box from there, and accompanying the box was a medical certificate, saying that she died of no contagious disease." Mrs. Copeland, the school matron, went to Norwich and reported "the situation of the corpse and other things surrounding it" were very suspicious. The coroners of the respective counties worked together to investigate Joesphine's death. Josie's body was in terrible shape, with her face and body were badly swollen and discolored, and she was oozing fluid from the mouth. When the doctor performing the autopsy opened her abdomen, a large amount of gas escaped. The intestines appeared normal, but the uterus was enlarged, punctured with a large hole at the top, and necrotic in patches. The cause of death was clearly an abortion. Josie's brother Albert said that she had left home on a Saturday morning after a visit of about a week, saying that she was going to collect some back pay from a previous employer. He didn't see her again until her body was shipped to him in the box, with all the shipping fees paid but no indication of who had made arrangements for the macabre delivery. Nobody in the family had known, or would have guessed, that Josie was pregnant. The investigators determined that Josie had taken very ill after her trip to Norwich, and was cared for by Dr. H. M. Smith and several other physicians who determined that she was suffering abortion complications and pressed her to identify the guilty parties. "She persistently refused to make any statement." On being informed that her death was inevitable, she identified her paramour and her abortionist. A friend or acquaintance who had been caring for Josie during her illness had been the one to obtain a coffin and arrange for shipment of her body. The doctor was not named in the news coverage, but was identified as "a resident practitioner of Hamilton, Madison County. His reputation is none the best, and he has boasted that he could do these things up very neatly." On April 29, 1914, 37-year-old homemaker Mary Stepen died at Chicago's Rhodes Avenue Hospital from septicemia and hemorrhage due to an abortion perpetrated by midwife Anna Stanek. Mary, an immigrant from Bohemia, had languished in the hospital for two days before she died. Stanek was indicted on May 15, but the case never went to trial. 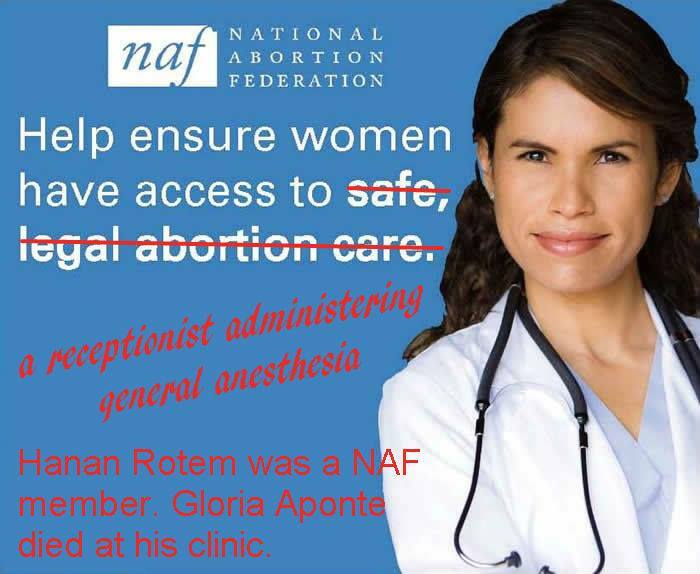 Twenty-year-old homemaker Gloria Aponte went to National Abortion Federation member Hanan Rotem in Stamford, Connecticut, for a safe and legal abortion on April 29, 1986. A few hours after the abortion, Gloria was declared dead from hemorrhage at a nearby hospital. An investigation by health officials found that Rotem had failed to perform necessary blood tests and had permitted a receptionist with no medical training to administer anesthesia. Rotem had no hospital privileges and no emergency patient transfer agreement in place. For his fatal treatment of Gloria, he was fined a total of $2,000. All of today's anniversaries are of women who died in early 20th century Chicago, which was rife with doctors and midwives running lightly veiled abortion practices. 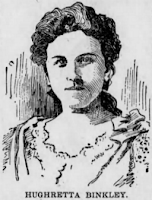 On April 26, 1908, 32-year-old restaurant cashier Cora Johnson died at Wesley Hospital in Chicago from septicemia caused by a criminal abortion perpetrated on April 18. Mrs. Dietrich, listed on the death certificate as a midwife, was arrested, but acquitted for reasons not given in the source document. On April 26, 1914, eighteen-year-old Florence Lindquist died of septic peritonitis in a Chicago home where an abortion had been performed on her. On her deathbed Florence implicated Dr. Arthur F. Schulz, age 36, who lived at the home in question. Schulz was arrested for her death, as was a man named Charles Miller, named by Florence as the father of her baby. Schulz, a 1907 graduate of Dearborn Medical College, was an allopath who had begun practicing in Chicago in October of 1911. Though he was arrested, he was likely not incarcerated for Florence's death, since he was still listed as living in his own household in Chicago in the 1920 U.S. census. He died later that year of pneumonia. In April of 1920, 26-year-old homemaker Catherine Kasper made a connection to 47-year-old midwife Rose Preib. 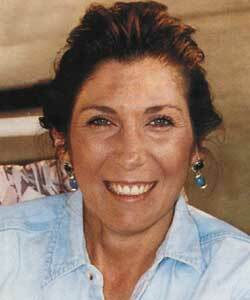 On April 26, Catherine died at Columbia Hospital in Chicago from sepsis caused by the abortion. Preib, whose profession is listed in the Homicide in Chicago Interactive Database only as "abortion provider," was arrested and charged in the death. She was acquitted on February 29, 1924 for reasons not given in the source documents. On April 26, 1921, 25-year-old Mrs. Dorothy Friedland died at St. Elizabeth Hospital in Chicago after an abortion performed by an unknown perpetrator. On April 26, 1926, Mrs. Fern Strecker, age 26, died at West Suburban Hospital in Oak Park, Illinois from an abortion performed in Chicago. The coroner fingered a 55-year-old nurse named Elizabeth Schade, who had been identified as the culprit in the death of Helen Skoza in a 1917 abortion. On April 25, 1899, Sarah Messinger, age 30, died in St. Luke's Hospital in Chicago from an abortion performed by Marie Kampfer. Sarah died on the day the abortion was performed. Kampfer, whose profession is not listed, was held for $5,000 bond by Coroner's Jury. Most Chicago abortionists of that era were physicians or midwives. In January of 1902, Abraham Conheim promised marriage to 19-year-old Harriet "Hattie" Larocque, originally of Canton, New York. According to Hattie's father, Leon, Hattie was the seventh of his nine children, and was "previously chaste and of good reputation." With the promise of marriage, Hattie became sexually involved with Conheim, who had hired her to work for him as a cloak model. In April of 1902, about 18 months after moving to New York City, Hattie discovered that she was pregnant. Conheim reneged on his promise of marriage. Instead he and his friend, traveling salesman Leo Asher. There they arranged a criminal abortion for her. At some point, Hattie was attended by Dr. Mary J. McCleery in the McCleery home. Martha Collier, who was a boarder at the McCleery home, said that Harriet had arrived there on April 9. Dr. McCleery said that she had only given Hattie simple medications. Hattie took ill after the abortion and was admitted to New York Hospital as "Hattie Bailey," a name she was using while in New York. She was visited at the hospital by the coroner, and again gave her name as Hattie Bailey. She told the coroner conflicting stories. First she said that she was secretly married to Abraham, but later she denied that she was married to anybody. Of Conheim and Asher, Hattie said that "both had wronged her" and that Asher had promised her marriage but had instead sent her to "Dr. McCleery." Hattie's mental state deteriorated and she began speaking to Asher as though he was present in the room. She died at the hospital of peritonitis on April 25. Hattie's father sued Conheim for seducing and debauching his daughter, impregnating her, and causing her death. There were never any arrests to hold anybody else accountable, largely because Hattie's statements at the hospital were never formally taken down as an ante-mortem statement. Dr. Richard E. Thacker, an osteopath, maintained an office and operating rooms in the Terminal Building in Oklahoma City, Oklahoma. He fled the state but was eventually captured and put on trial for the April 25, 1932 death of 17-year-old co-ed Nancy Joe Seay Lee, who had recently entered into a secret marriage with University of Oklahoma football player Frank Lee. Thacker met Frank some time about noon Saturday, April 23, 1932. Frank brought his wife to the office about 2 o'clock that afternoon. Thacker had asked for $75, but Frank had bargained down to $30. 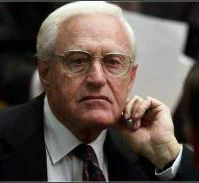 Thacker did not examine Nancy prior to the abortion, and did not ask Frank to leave the room while it was perpetrated. After the abortion, Frank went back to classes. He was notified that Nancy had taken ill and been taken to Oklahoma City General Hospital. Frank rushed to her side, but she was already dead. She had implicated Thacker before her death. Nancy was one of a string of abortion deaths attributed to just Thacker and one additional Oklahoma City osteopath, John Eisiminger in the spring of 1932. The others were Geraldine Easley, Ethel Hestland, Isobabell Ferguson, Ruth Hall, Robbie Lou Thompson, Virginia Lee Wyckoff and Lennis May Roach. Twenty-two-year-old Nichole Williams was the third patient known to have died of safe and legal abortioncomplications under the dubious care of Dr. Robert Crist. The others were Latachie Veal and Diane Boyd. Nichole, a mother of three (ages 7, 3, and 1), lived with her boyfriend and after an abortion at Reproductive Health Services, run by Planned parenthood, in St. Louis, MO. Some of the cost of Nichole's $550 abortion came from a national foundation which Planned Parenthood refused to name. Crist started the first-trimester abortion at 2:00 on Friday, April 25, 1997, administering lidocaine and vasopressin for a procedure expected to last about five minutes. "Seconds" before finishing the abortion, he noticed that Nichole had breathing problems, finished the abortion, and instructed staff to call 911. RHS staff began resuscitation, but Nichole was in full cardiac arrest when medics arrived fifteen minutes later. Efforts to revive her continued in the ambulance and at Barnes-Jewish Hospital, to no avail, and she was pronounced dead at 3:12 p.m. Nichole's death was officially attributed to disseminated intravascular coagulopathy (DIC), a clotting disorder that can be triggered by trauma, illness, or foreign material in the blood stream. Reproductive Health Services, a National Abortion Federation member facility, is operated by Planned Parenthood of St. Louis. The National Abortion Federation (NAF) is an organization of abortion facilities and practitioners, and promises that its members adhere to the highest standards of care. This claim seems remarkable when one considers that Dr. Abu "The Butcher of Avenue A" Hayat was an active NAF member when he performed the abortions that killed Sophie McCoy and maimed Ana Rodriguez. Other dubious NAF members include Family Planning Associates Medical Group, a clinic chain with at least sixteen dead abortion patients to its discredit, and Abraham Alberto Hodari, whose Detroit clinic is responsible for at least three abortion deaths including an illegal third-trimester abortion on an underage girl at the behest of her abuser's sister. On April 24, 1920, Emma Shanahan died at Chicago's St. Anthony Hospital (pictured) from an abortion perpetrated by a person who was not identified. Most abortionists in Chicago in that era were doctors or midwives, which makes it likely that Emma availed herself of one of these trained medical professionals. Keep in mind that things that things we take for granted, like antibiotics and blood banks, were still in the future, which made all surgery at that time far more dangerous than it was after WWII. For more about abortion in this era, see Abortion in the 1920s. Virginia Lee Wyckoff, a University of Oklahoma student, age 21, died from complications of an abortion on April 24, 1932 Hers was one of a string of deaths in the city that year. Dr. J.W. Eisiminger, an osteopath, was tried and convicted of murder in Virginia's death. Eisiminger admitted to having treated her in his office on April 3, but said that he didn't believe she was pregnant. Nevertheless, Virginia spent several days in a private home where Eisiminger kept recovering abortion patients under the care of Mrs. Luther Bryant Price. Virginia was transferred from Mrs. Prices's home to Oklahoma City General Hospital, where she died of septicemia, first having told doctors there that Eisiminger had performed the fatal abortion.. A deathbed statement absolving Eisiminger was proven to be a forgery. Eisiminger was sentenced to life in prison after pleading guilty to murder in her abortion death. The sentence was later reduced to 15 years. 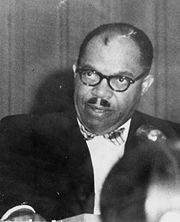 He was also implicated in the abortion deaths of Isobel Ferguson, Lennis May Roach, and Ruth Hall in April of 1932. On April 24, 1937, Merl Williams of Watonga, Oklahoma, died of peritonitis. She was 21 years old, a worker in a poultry packing plant. Her death was attributed to a botched abortion. A midwife, 57-year-old. Cordelia Moore, was charged with abortion murder. An investigation found evidence that Moore, formerly a registered nurse, had perpetrated hundreds of abortions in her home in Longdale, Oklahoma. 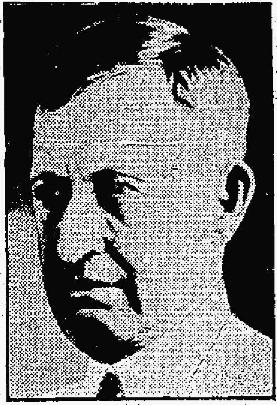 W. C. Mouse, a railroad engineer, testified that he had taken Merl to Moore's 3-room farm house on April 11, not knowing the reason for the visit. He said only that he had heard Merl ask Moore, "Will it be dangerous?" The state also gathered 14 additional witnesses in the case against Moore, including women swearing under oath that Moore had done abortions on them. Cordelia Moore was tried for the crime; her husband, John, was arrested but released. I have been unable to determine that outcome of Moore's trial. Many physicians and midwives plied their trade as abortionists in early 20th century Chicago. The women whose deaths we commemorate today all had entrusted themselves to the care of those professionals operating outside the law. "Phyllis" was 46 years old when she had an abortion performed by a physician in Chicago on or around April 4, 1910. The abortion was followed by pain, fever, and hemorrhage. On April 18, about two weeks after the abortion, she was admitted to Cook County Hospital. She was in a stupor, with her tongue dry and furred. Her abdomen was distended and tender. Her liver was enlarged. The lower lobe of her right lung had sounds indicating the presence of fluid. That evening, Phyllis became delirious and had to be restrained to her bed. She died on April 22 from peritonitis and septic pneumonia. On February 19, 1920, midwife Mary Simkus, perpetrated an abortion on 28-year-old homemaker Sophia Krawczyk in the Krawczyk home. After the abortion, Sophie took ill. Eventually she was taken to Cook County Hospital, where she died from sepsis on April 22. Simka was indicted for Sophie's death, but for reasons I have been unable to determine the case never went to trial. On April 22, 1923, 30-year-old Daisy Singerland died at Chicago's Robert Burns Hospital from complications of a criminal abortion performed earlier that day. On June 1, 54-year-old Dr. James W. Lipscomb was indicted for felony murder in Daisy's death. Hughretta "Etta" Binkley was an unmarried woman about 27 years old who worked as a private stenographer for Fred Patee at a bicycle company that he managed. She lived in a boardinghouse owned by George H. Lilly, where she shared a room with Lilly's daughter. At lunchtime on April 1, 1898, accompanied by Patee, Etta went to the residence/office of Dr. Belle Howard, about four blocks from the boarding house. After work the following day, at about 6:30 PM, she returned to Dr. Howard's house and was sent to a room on the second floor. Howard attended her often, as Etta suffered from pain and bleeding. On the evening of Saturday, April 9, that Belle Howard drove Etta in her buggy back to the boarding house, where she left her alone on the porch. Mr. Lilly found her there as he was locking up for the night. He described her as being in "a very helpless and distressed condition." Lilly's daughter helped Etta into bed. The following morning, at about 9:00, Etta somehow managed to trudge to the nearby Cottage Hospital, where she was immediately admitted. Staff physician Otho B. Will was immediately summoned to care for her. Dr. Will found Etta to be so sick that he later expressed astonishment that she had been able to walk to the hospital at all. He examined her and performed surgery to remove decaying and fetid retained portions of placenta. Etta remained hospitalized under Dr. Will's care until April 19, when she died of septicemia. Howard and her husband fled to Oregon, where they were eventually captured and extradited. Dr. Howard was convicted of manslaughter in Etta's death and sentenced to seven years in prison. She only served 15 months before being released on parole. In April of 1939, 27-year-old Mary Narusavage of Long Beach, New York got a phone number from a friend. It was contact information for two midwives, Josephine Williams and her daughter-in-law, 33-year-old Adele Sassen. On April 13, Mary and her husband, 28-year-old Joe, went to the Williams home and were greeted at the door by Sassen. Joe, a waiter, had expected the abortion fee to be $35, so he had brought that amount with him. Sassen said that actually the fee would be $45, but Joe could pay the additional $10 later. Sassen took Mary through a pair of double doors into a windowless dining room with a bed and a sink in it. Joe waited for about seven or eight minutes. Saussen came out and told Joe, "Everything is OK. Your wife will be all right. Everything is fine." She sent Mary home with three pills, and told the couple to call her if there were any problems. Over the next few days, Mary suffered bleeding and pain. Williams and Saussen visited her at her home twice, on one occasion using a curette and performing a douche with a bit of Lysol in water. On the other occasion, Williams was in another room with Mary, so Joe didn't know what she did to his wife. By this time, Mary had a copious, foul-smelling discharge. On April 18, Joe was so alarmed at Mary's condition that he called Dr. David Schiff. Describing the visit, he said, "I was struck by the appearance of the very toxic, pale, white ghostly like woman who was in agony." Upon examining Mary, Schiff concluded that she had peritonitis, so he immediately called an ambulance to take her to Long Beach Hospital, where he cared for her, assisted by intern Henry Miller. In spite of their efforts, she died at around 10:00 p.m. on April 19. She had a large tear in her uterus, large quantities of pus in her pelvic cavity, and clots and pus in her uterus. She had died from septicemia. The doctor who performed the autopsy estimated that the infection had started between four days and two weeks prior to Mary's death. The following day, at around 5:20 a.m., police raided Williams' home, where they found abortion instruments wrapped in a wet towel and hidden in a satchel inside a closet. Williams begged the police detective not to take the instruments, to forget he had ever seen them, and even tried to thrust a wad of cash into his hands. On March 20, 1940, Williams and Sassen were both convicted of first-degree manslaughter and abortion, and was sentenced to two to four years. On April 18, 1908, 36-year-old homemaker Sophia Turner died at Chicago's Englewood Hospital from septic peritonitis caused by an abortion. Prior to her death, she told her husband that the abortionist had been Dr. Jessie E. Robertson. Most Chicago abortionists of that era were either doctors or midwives. Sophia's death certificate indicates that the abortion took place on April 10. Robertson was arrested, but she was later acquitted for reasons not given in the source document. Dr. Richard E. Thacker (pictured) maintained an office and operating rooms in the Terminal Building in Oklahoma City, Oklahoma. In the early part of April, 1932, 21-year-old Ruth Hall of Bethany, Oklahoma, went to Thacker's office for an abortion. Over the following days, she took ill. Her mother pestered Thacker into coming to the house to provide aftercare, but had to remind him to sterilize his instruments. Over the upcoming days, Ruth continued to sicken. Her mother called in another doctor but by then it was too late. Ruth died from infection on April 15. Thacker was prosecuted for Ruth's death. Over his understandable, albeit unsustainable, objections, the court permitted a number of witnesses to testify that after Ruth's visit to his practice, Thacker had performed fatal abortions on Robbie Lou Thompson, Lennis May Roach, and Nancy Joe Lee. The witnesses went into detail about the events, up to and including the death of each of them. It took the jury of twelve men, eight of them fathers, only a little more than one hour and only four ballots to find Thacker guilty of murder. Sixteen-year-old Maureen Espinoza underwent a safe, legal abortion at a doctor's office in San Antonio on March 28, 1997. During the abortion, the doctor punctured Maureen's uterus, but didn't note this in her medical records or say anything to her about it, indicating that he simply didn't notice. Maureen was sent home. On April 3, she went to the emergency room at Northeast Baptist Hospital. Over the ensuing days, doctors there performed two surgeries to try to save her life, but to no avail. She died on April 15, 1997. Abortion rights organizations would assert that, while tragic, Maureen's death was just a case of "all surgery has risks." But since roughly 90% of abortions before legalization were done by doctors, the same "all surgery has risks" logic still would have applied.